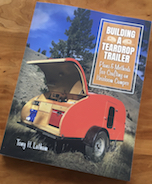 Teardrops n Tiny Travel Trailers • View topic - Monstaliner questions! In all seriousness, I've followed the instructions I have for the most part, but they are instructions I feel are meant for someone who knows what they are doing, which I do not. A lot is left out which is where this message board has been a MASSIVE help. This isn't just my first teardrop project, this is basically my first big project period. Perhaps a bit ambitious for an armature but even through I've made a few mistakes I feel like I have a pretty solid camper right now. Will it fall apart at 75+ miles an hour down the road? Will too much shaking on a trail cause it to crack? I certainly hope not but only time is going to tell! So adventures in fiber-glassing did not go well this morning lol. It's definitely above my skill level as I was quickly finding out. 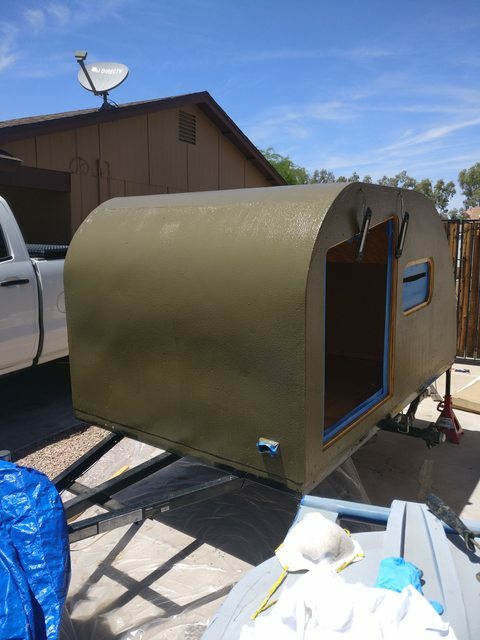 It seemed like I was mixing correctly, it hardened just fine, but I don't know if I was just being too slow or if Arizona is too hot, but the resin was drying insanely fast, pretty much too fast to effectively apply the fiberglass cloth. I got the sides done but there are lots of air pockets and chunks sticking all over. I was following the directions on the can of resin but I think it was just drying too darn fast. I definitely mixed too much the first time, but after that I was only mixing small amounts as it said small amounts harden slower, but it didn't seem to matter once the sun was out and blazing down on me. I think I'm blaming the sun on this one, but chances are I was doing something wrong as well. Either way, I'm going to trust that the plans I have were meant to be sturdy! Corners are fiber-glassed at least. Put the Monstaliner on this weekend, took this picture at the second coat, but did a total of 3 coats. I will say it looks pretty good, really happy with the results. Also happy I did 3 coats as it hid some of the problem areas better than 2 coats did. Doesn't roll on quite as thick as I thought it would or maybe I was just rolling it too thin, but after 24 hours it's looking really good right now and seems super solid. 2 gallons was more than enough for 3 coats, 1 gallon would not have been enough for 2 coats though so glad I got the two gallon pack. Have to say I am happy with the Monstaliner results! I was just going to ignore his comment as 1, Monstaliner is roll on not spray on, 2, they make their product for multiple purposes, and 3, he spelled leek wrong. Either that or he meant he suddenly had leeks which would be super bizarre. if bedliners cause leeks to grow all over the place maybe I don't want it! I thought leeks were a New England thing. How does a guy from AZ know about leeks? Maybe he's got a garden? Capital369 has posted twice on this forum and for 24 years he sold a product he knew would fail. Finally got around to snapping some shots. I used burnt orange, just for the sidewalls. Monstaliner has dozens of awesome colors, though. If you look carefully, you can see some dimples around the perimeter of the sidewall where I filled in some counterbored holes. Unfortunately, I didn't use the right stuff - grr! - and it slightly expanded during its cure, creating gentle bubbles. It's just a small cosmetic thing, but good to remember for the future. Monstaliner will hide small imperfections like scratches, but it's not self-leveling on vertical surfaces, so make sure your substrate is good and flat. Gotta say that's actually a pretty nice looking orange! I was able to apply 3 coats and it turned out pretty good. I am hoping to make a positive plug from my first trailer and then make a female mold off of it to cast the shells of future teardrops. From your experiences with Monstaliner do you think it could be applied to the waxed surface of a mold and used instead of gel coat on a build from the outside going in? I would prefer a urethane compound on the exterior for toughness and flexibility over gelcoat, and hope that since it is a multi-component catalyzing mixture it will cure through out without access to the outside air. I imagine I will have to ask them directly, or test some molds with it, but am curious to your opinion of that method with the product as you seem to have the most experience with it. Thanks! I don't have much experience with casting myself, but it seems doubtful that Monstaliner is well-suited for this? The catalyzed mixture cures with humidity, usually atmospheric. I was advised to let the atmosphere do the work and not to lightly mist the curing coats. I think I have the correct visual image of your plan ... (like building an onion from the outside in) ... if so, what's stopping you from applying the Monstaliner to the molded finished fiberglass shell? Then you could use the proper primer and spray or roll to achieve whatever textured finish you prefer. The main reason I want to do it as a gelcoat type application is so it is smooth like gelcoat. I don’t particularly want the rippled roller look and would like the gloss finish of a mold casted part. Also because I don’t have a good paint booth That is dust controlled and so encasing it with a mold will keep the surface cleaner. I like the concept of Monstaliner as it is comes in many colors and wouldn’t have to do any other surface coatings if I could just apply it first. Sounds like I will just have to test it when the time comes. Most things work well as mold applied, so I am confident it will work, but was curious if you had ever tried. Thanks for your feedback! Looking forward to hearing what happens. Magnet Paints makes a big deal about the fact that Monstaliner looks sprayed even when rolled. It's far less viscous than paint. Think chilled honey. So it holds ridges, like gesso. Maybe contact Magnet Paints if you're wanting a smooth, semi-glossy finish? They might suggest some helpful additives/thinners. If you don't need the 40 mil thickness of Monstaliner, there are lots of other products - topside marine paint comes to mind - designed for smooth, glossy finishes. Some topside paints are also designed to be brushed rather than sprayed. Blue Water Revolution paint comes to mind (never used it). But now we're getting pretty far beyond my area of expertise, so someone else feel free to chime in and fill out my knowledge gaps! Just saw this post. I put Monstaliner on my trailer's fiberglass front end and the chassis in spring 2017. I chose Monstaliner for the UV protection and good reviews. It can be rolled or sprayed on. I rolled it. 39 different colors to choose from. I followed instructions with sanding and a wipe down with MEK. Rolled two coats. One gallon just covered two coats of the front end and chassis. Almost two years later, it's held up well. There are a few tiny chipped spots from road dings, which expose the white fiberglass or metal underneath, but not enough to warrant a touch up yet with a quart of paint. Maybe in another year or two. Overall, I'm happy with the product and would recommend it. 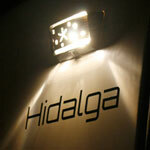 Hi Hidalga! Good work. Just curious: Did you apply a separate primer first? Or did you apply the Monstaliner directly to the fiberglass?